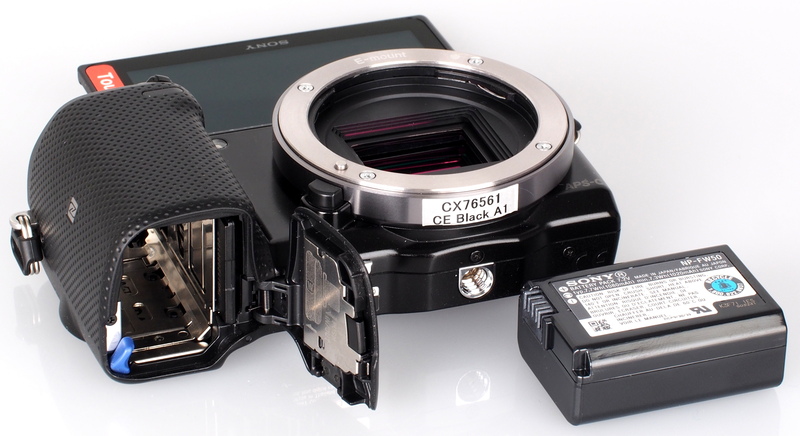 The Sony NEX-5T adds NFC to the compact Sony NEX 5 series mirrorless camera. Find out how it performs in our review. 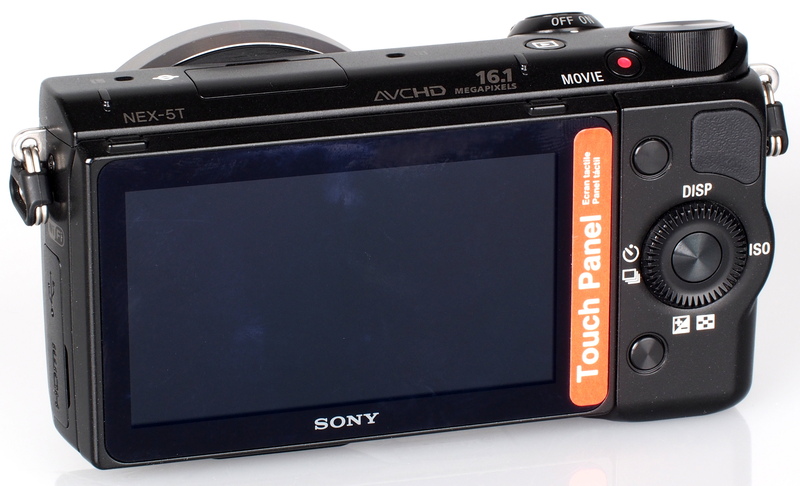 The Sony NEX-5T is the latest update to the NEX-5R, and adds NFC to make setup of Wi-Fi connections quicker and simpler. 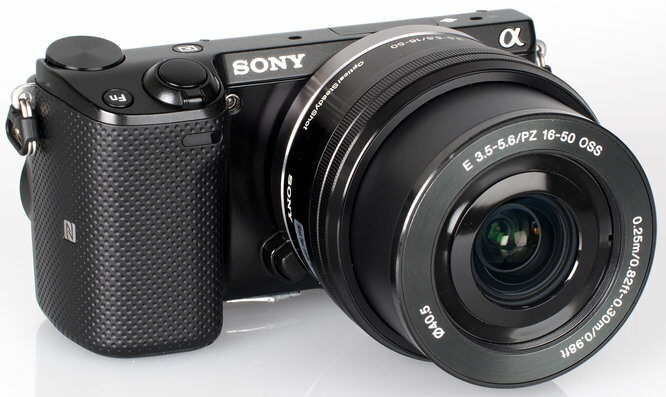 The Sony NEX-5 series is one of the best selling Sony NEX cameras in Sony's range of mirrorless cameras, and is one of the smallest mirrorless cameras available from Sony, particularly when bought with the 16-50mm Power Zoom kit lens shown here. 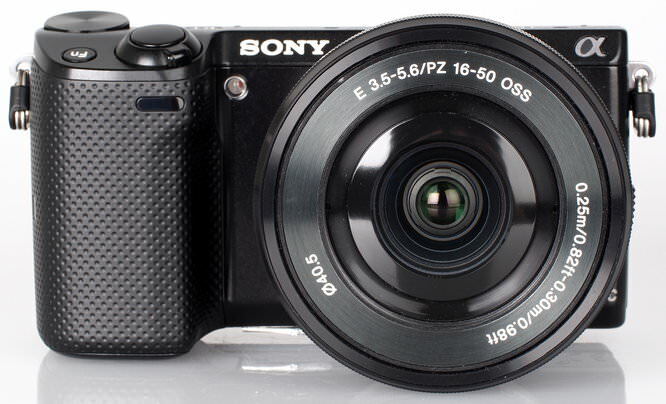 The Sony NEX-5T has a 16.1 megapixel APS-C sensor and is designed to capture more light for low light shooting. It has built-in Wi-Fi, and NFC, to allow it to connect to devices such as smartphones or tablets. 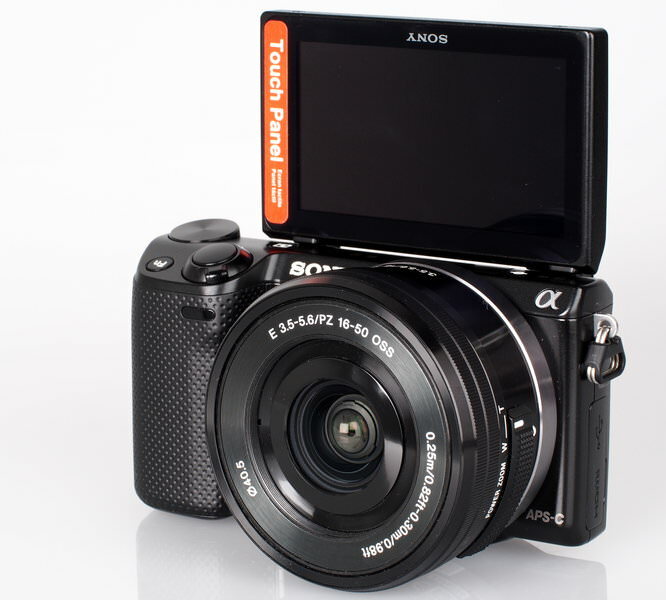 There is a BIONZ image processor designed to produce clear, detailed, low noise images shooting right up to ISO 25600. When shooting in low light a high-speed burst of six frames creates a single low-noise image to minimise blur and noise. Photos can be uploaded directly to Facebook from the camera with other apps available as well, including one which allows you to use your smartphone as a remote control. There are plenty of apps to download on the PlayMemories Camera Apps website. Sony has developed a number of new apps bringing the current total to 15, with more expected in the future. The NEX-5T has Hybrid Auto Focus technology to capture high-speed action, and can shoot at up to 10fps. To help take creative pictures there are a number of picture modes such as poster effect, miniature and selective colour. You can also retouch portraits to remove blemishes and wrinkles, and the camera will automatically crop portrait photos creating a second copy of the photo. Videos are recorded in full HD with stereo sound, and using the power zoom lens can zoom in and out without losing focus. The NEX-5T is available with the 16-50mm Power Zoom lens, which is collapsible when switched off, making it extremely compact. The lens is the equivalent of 24-75mm in 35mm terms, and features optical image stabilisation. The Sony NEX-5T has a compact metal body and a good rubberised hand grip, as well as a rubber square on the back for your right-hand thumb, and weighs just 218g without lens. The top accessory port allows the connection of the included pop-up flash, as well as the optional OVF (Optical viewfinder), EVF (Electronic viewfinder) and microphone. On top of the camera is an Fn (function) button which gives access to focus, metering mode, white-balance etc. but can be customised to a number of different options. There is also a dial which allows you to change settings such as aperture and shutter speed, depending on which mode you're using. There is rear scroll wheel which makes it easy to cycle through the menus. The menu system is fairly well laid out but some options do have a rather long list. Thankfully the touch screen can be used to move through the menus and set options, making it a little easier to use. The 3 inch touch screen is tiltable at up to 180 degrees, ideal for shooting with the camera low down or taking perfectly framed self-portraits. You can also use the screen to focus the camera and take a shot. The screen has a good resolution and is easy to view in all light. When you've set it to connect to your Wi-Fi network you can access the applications where you can use any that are already installed, or download more. Some are free, there are also some which you have to pay for, such as Bracket Pro & Time-Lapse. Battery life is rated at 330 shots according to CIPA test results, with the camera using a Sony info-lithium rechargeable battery, which means the camera is able to tell you exactly how much battery life is left as a percentage, for example, 47%. Switch on speed is a little slower than expected for this class of camera, however that's due to having to wait for the power zoom lens to extend. Focus and shutter response, as well as continuous shooting speeds are all good. Sample Photos - Photos have bright saturated colours and exposure is reliable. Portrait photos taken with the provided flash show good colour and very little to no red-eye. Lens Performance - Macro performance isn't a strongpoint of the 16-50mm PZ lens, however, best results were achieved when using the lens at roughly 30-38mm, as this allowed us to be closest to the subject. Images are a little soft straight from the camera, and we would have liked to see slightly sharper images on default settings, and images are slightly soft in the corners. There is quite noticeable vignetting when shooting wide, however distortion is low whether shooting wide-angle or telephoto shots. Purple fringing and chromatic aberration is well controlled. There are three settings to provide lens compensation: Shading / Vignetting, Chromatic Aberration, and Lens Distortion, with these being set to On by default. For the power zoom lens, it's not possible to switch off lens distortion correction. ISO Noise Performance - Noise is low from ISO100, all the way up to ISO800, with noise starting to increase slightly at ISO1600 with a drop in detail, and then again at ISO3200, although results should still produce usable results with good colour reproduction. Noise increases again at ISO6400, with a slight drop in colour saturation. ISO12800 shows higher levels of noise again and a more noticeable drop in colour, with this setting and above best avoided if possible. Noise reduction is quite strong, and this does appear to remove some fine detail, although it is possible to change the High ISO NR (Noise Reduction) setting from Normal to Low, which should produce more detailed photos. White Balance Performance - Auto White Balance (AWB) performs very well under tungsten lighting with a slightly warm result which will be pleasing to many, and for a more accurate result the tungsten preset performs extremely well. AWB does an excellent job under fluorescent lighting with the fluorescent presets giving a colour cast. We've shown the best result here, which has given a magenta colour cast. Panorama mode - The camera features a panoramic sweep mode where you simply press the shutter button and pan the camera in the direction you want to take the photo. You need to move the camera from one direction to the other at a quite specific speed, otherwise the camera will fail to create the panoramic or alternatively produce a panoramic with a black edge, which will need cropping off later. Results are quite good, with good detail and a fairly high resolution result. There are a number of ways to improve dynamic range in harsh lighting conditions, and when in intelligent Auto or Superior Auto+ the camera will automatically use the backlight scene mode if it decides it's necessary. In program mode you can switch DRO (Dynamic Range Optimisation) or HDR (High Dynamic Range) on, with these featuring Auto or manual settings. Here we've used the auto settings which have produced very good results, without looking too artificial, with the HDR mode combining a number of shots taken at different exposures. Video - The Sony NEX-5T records full HD video with stereo sound, and when used with a power zoom lens provides smooth zoom during recording. Optical image stabilisation also helps keep videos smooth with the quality of videos looking good. The Sony NEX-5T is one of the more compact mirrorless cameras available, particularly considering it has an APS-C CMOS sensor. For a smaller mirrorless camera you would have normally had to look at the smaller sensor Nikon 1 series, however there is now the option of the Panasonic Lumix GM1 with Micro Four Thirds sensor, and generally smaller Micro Four Thirds lenses. 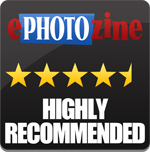 The Sony NEX-5T is comfortable to hold with a large rubberised grip, and produces excellent images with good colour and detail. It has a number of impressive and useful features including 10fps continuous shooting, DRO and HDR modes to expand dynamic range, and good noise performance. The touch-screen on the back makes it easier to use, and the tilting screen makes it easy to take self portraits or shoot at different angles. For those looking for one of the smallest possible mirrorless cameras with an APS-C CMOS sensor, with high speed shooting and built in Wi-Fi, the Sony NEX-5T would make an excellent choice. 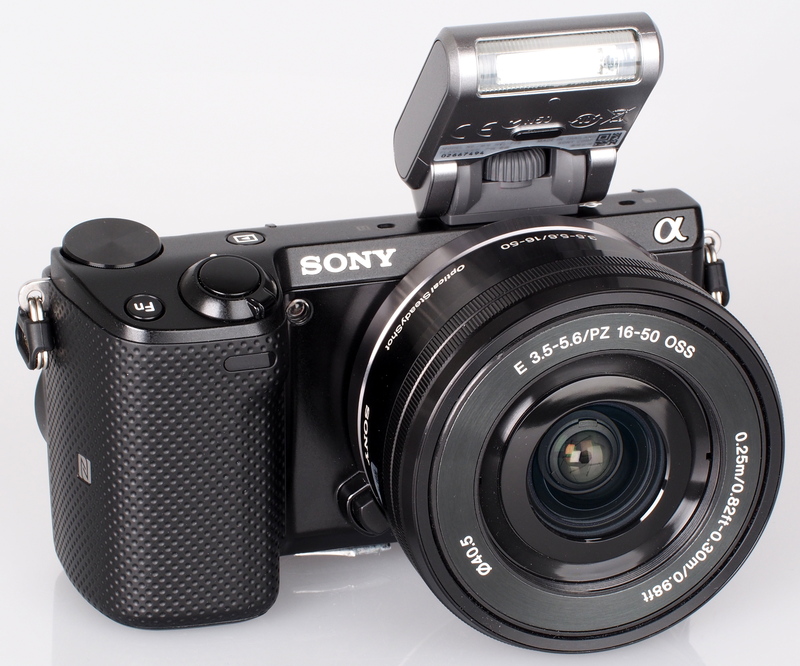 The Sony NEX-5T offers good image quality in a quick and compact metal camera. Nice clean pics, but the lens isn't the best, good for normal shooting. It's a kit lens. There's an alternative and growing range of better lenses.